About a month ago, I was contacted by the 1Q32 company to review their gel polish. 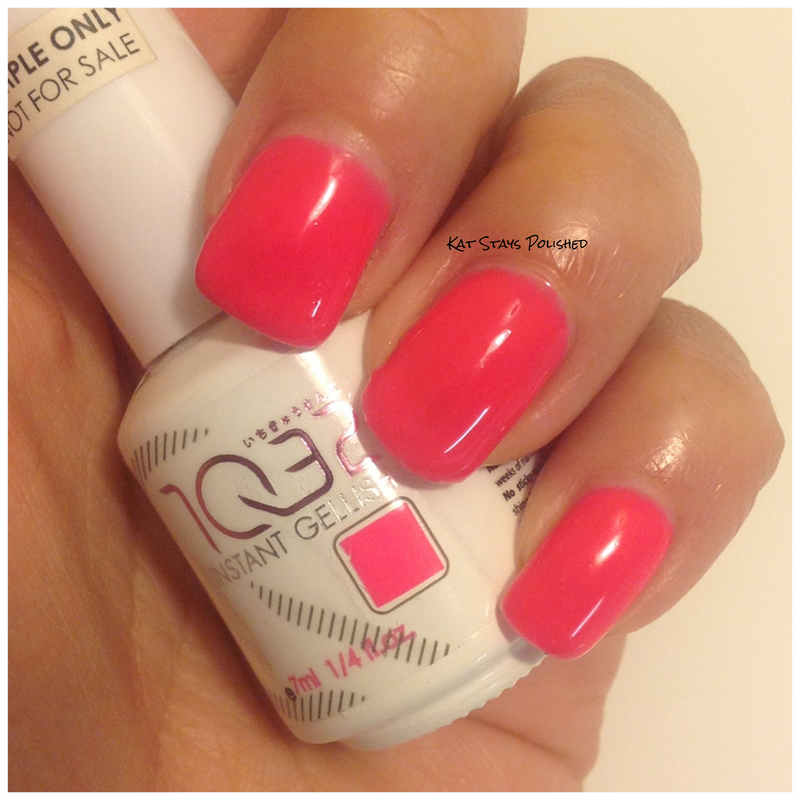 This isn't like any other gel polish. They claim that there is nothing to it. Just apply like regular nail polish, cure under a UV/LED lamp, and boom, done! I've never done gel polish before, but this seemed like something I could go for. Simple = better for this busy girl. Okay, this is the pamphlet information that they sent to me with the polish. The first piece of paper is a front-and-back deal with step-by-step instructions on how to apply the Instant Gellish color. It honestly is the EASIEST application ever. Make sure you clean your nails with alcohol to remove any oils that may be on your hands. 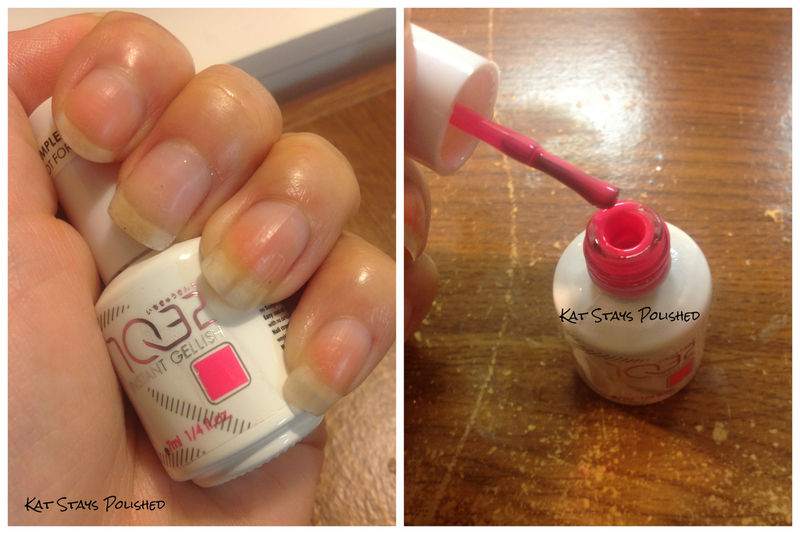 You can read up on my Quick Nail Care here. 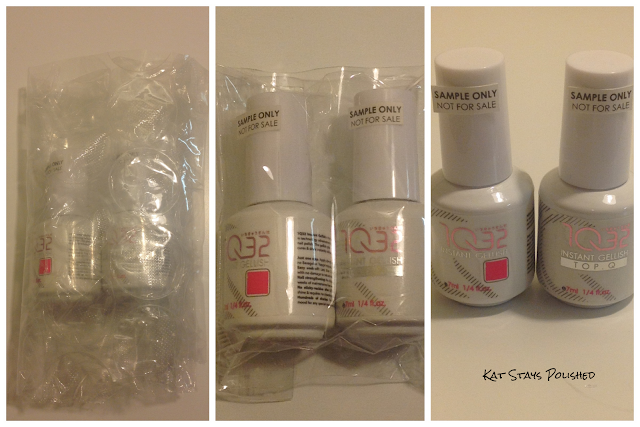 In my sample kit, they sent me 1 1Q32.BabyQ Instant Gellish color in QB51. It's a hot pink. I am not a fan of pink, but this one actually intrigued me. 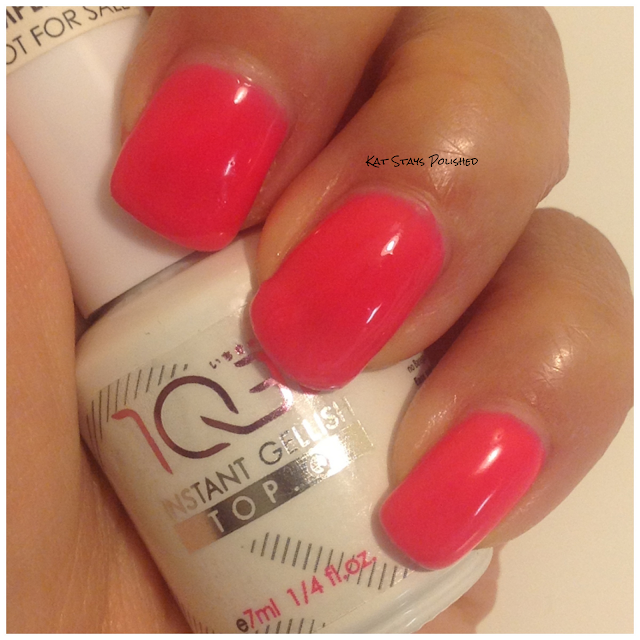 If this polish lasts as long as they say it does, SURE I'll keep a hot pink color on my nails! So, my nails are prepped and ready for application! My first impression of the polish is that it's stinky and it's thick. The stink isn't super potent so it was totally bearable during my application. 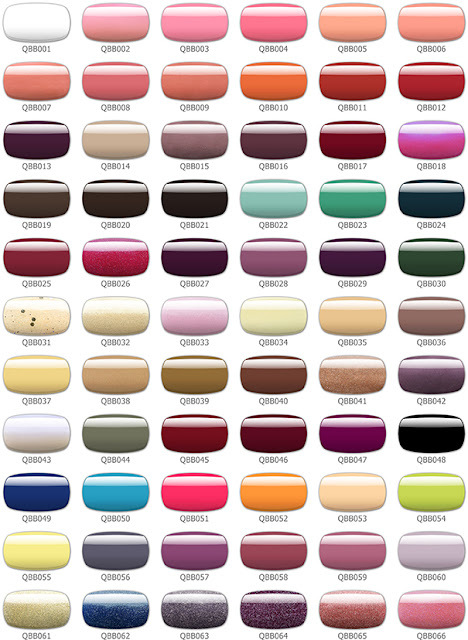 This isn't a polish you need to shake either. You actually want to avoid shaking so that you don't create micro-bubbles in the formula. Don't be intimidated by the gloppiness of the product. It actually goes on super smooth and you can correct any mis-swipes before you cure. This is the first layer of polish. I've practiced applying regular polish enough times that this went on flawlessly. I didn't get any on my skin and I had pretty even application. If you do get some on your skin, remove it before you cure your polish. For the cure, I kept my hand in there for 60 seconds just to be sure. Usually with LED lamps, 30 seconds will do. This is a 2-watt LED lamp. After the first layer is cured, apply a second layer. Be sure to apply it slowly to avoid bubbles. Those won't go away unless you try to pop them before the cure. After each cure, there really is NO STICKY RESIDUE! It's crazy! I like not having to do anything extra. 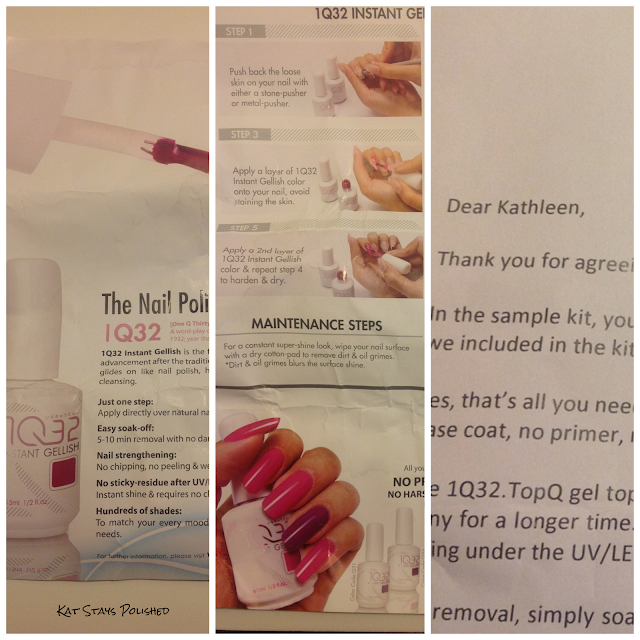 1Q32 also sent me their gel top coat. They say that this is optional, but it's good to protect your manicure, just like with any other mani you've done. I decided to only apply it to my ring finger and my pointer finger to test it out. 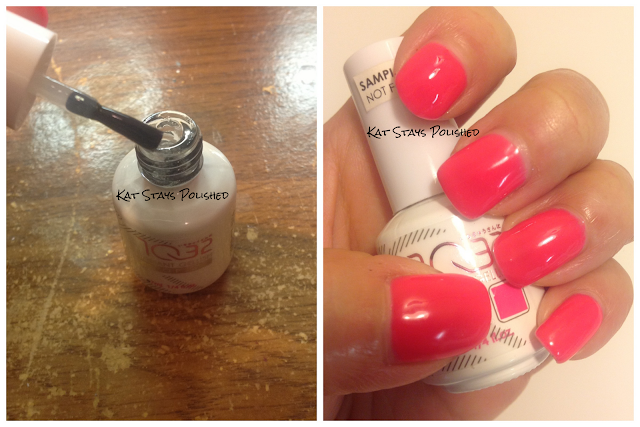 Cure it the same way you did the gel polish. This is the final look! Total cure time was 3 minutes. Total application time was probably around 2 minutes. This was the FASTEST manicure I have ever done! I will keep this manicure on for as long as I can. I'll post weekly updates so you can see my progress. So far, this is a product I'd recommend. Let's see if it holds up for the next couple of weeks. Check out my video review too! 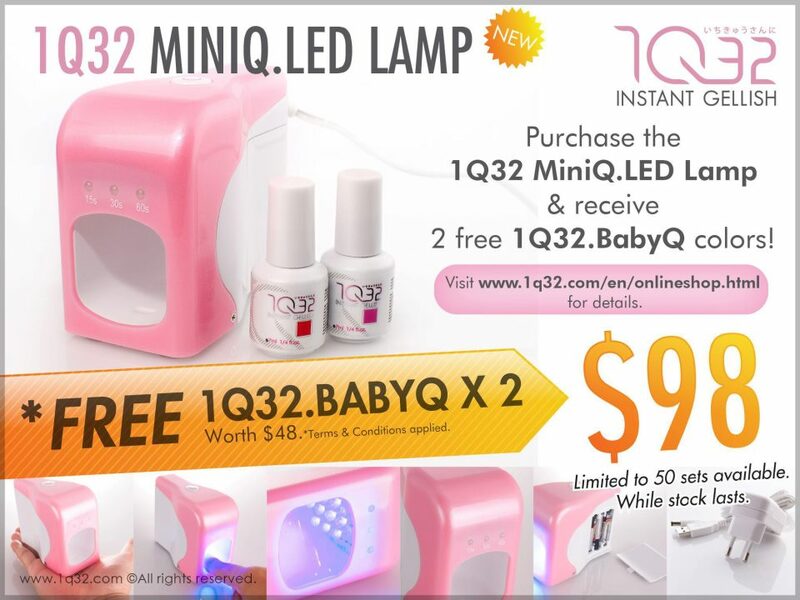 If you like what you see and would like to purchase their products, check out this current promotion. 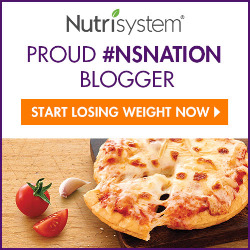 Be sure to mention my blog when you purchase! These are their current colors. You can see QB51 on the 3rd row from the bottom. Kat, what UV light do you use? This looks really cool... I'm curious to see how long it holds up because I have *such* a problem with chipping! 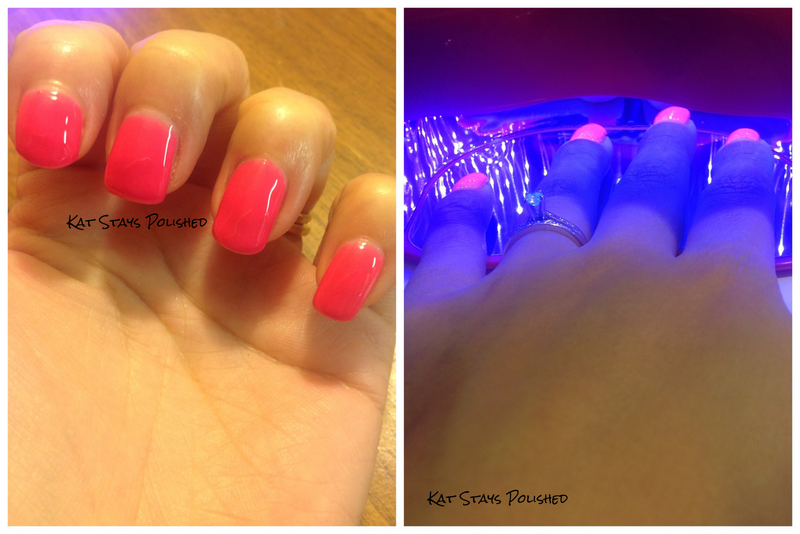 I got the nailuv LED lamp. Was a Hautelook deal. 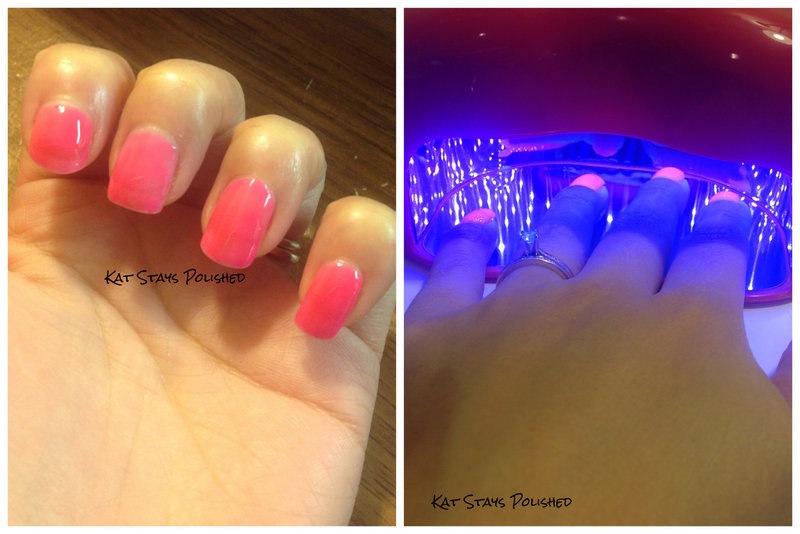 I was wondering, how did you remove the gel polish and was it easy to do?